Joseph Smith was a 33 degree Freemason. VIII. You Too Can Be a God! IX. Who is the Mormon Jesus? This Biblical study guide is not finished. It is presented as a resource and a teaching tool for those who would like to better understand the Mormons. Mormons claim to send out 50,000 missionaries per year. They claim to have the fastest growing religion. 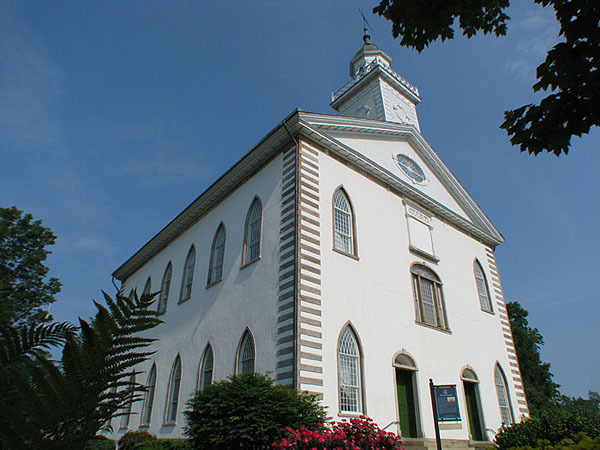 I have toured their first temple in Kirtland, Ohio, plus touring their first settlement in Kirtland. Was assigned my two elder missionaries and two more sister missionaries as guides. Four missionaries were trying to convert one investigator, their spirits against my spirit. The Mormon scriptures quoted in this study can be found at: Word searches can be done at this site. “And Ammon began to speak unto him with aboldness, and said unto him: Believest thou that there is a God? 25 And he answered, and said unto him: I do not know what that meaneth. “That they should let no pride nor haughtiness disturb their apeace; that every man should besteem his cneighbor as himself, laboring with their own hands for their support. “And this shall be done through the bishop or the agent, which shall be appointed by the avoice of the church. Polygamy is an everlasting covenant! “Abraham received concubines, and they bore him children; and it was accounted unto him for righteousness, because they were given unto him, and he abode in my law; as Isaac also and Jacob did none other things than that which they were commanded; and because they did none other things than that which they were commanded, they have entered into their exaltation, according to the promises, and sit upon thrones, and are not angels but are gods. Don't give money to be not burned! Give money or will be burned! “And again, in connection with this quotation I will give you a quotation from one of the prophets, who had his eye fixed on the restoration of the priesthood, the glories to be revealed in the last days, and in an especial manner this most glorious of all subjects belonging to the everlasting gospel, namely, the baptism for the dead; for Malachi says, last chapter, verses 5th and 6th: Behold, I will send you Elijah the prophet before the coming of the great and dreadful day of the Lord: And he shall turn the heart of the fathers to the children, and the heart of the children to their fathers, lest I come and smite the earth with a curse. Mormons teach Father God in an actual physical body mated with a physical God, Mary, to produce their first born, Jesus. Jesus is now a God. Father is a separate God. Jesus is a separate God. Holy Spirit is a separate God. The spirit or Joseph Smith didn’t know the true meaning of the old English word ‘strait’. Joseph Smith’s Scriptures are forbidden! Since God will punish those who lie in the Lake of Fire, will he tell someone to lie? NO! Christian Men and Women are of the Priesthood! 27 And the Lord said: Whom shall I send? And one answered like unto the Son of Man: Here am I, send me. And another answered and said: Here am I, send me. And the Lord said: I will send the first. Does Joseph Smith really hold the keys to the kingdom? By whose authority? “… that no man or woman in this dispensation will ever enter into the celestial kingdom of God without the consent of Joseph Smith.” Journal of Discourses, Vol. 7, Pg. 289. Polygamy is Sin! Polygamy is Adultery! “But if she will not abide this commandment, then shall my servant Joseph do all things for her, even as he hath said; and I will bless him and multiply him and give unto him an ahundredfold in this world, of fathers and mothers, brothers and sisters, houses and lands, wives and children, and crowns of eternal lives in the eternal worlds. “The only men who become Gods, even the Sons of God, are those who enter into polygamy.” Prophet Brigham Young, Journal of Discourses Vol. 11 Pg 269. So, polygamy equals eternal marriage. God builds the New Jerusalem then brings it to earth. The devil wants to build copies of God’s plans on earth, but the prayers of Christians may prevent his plans! “A revelation of Jesus Christ unto his servant Joseph Smith, Jun., and six elders, as they bunited their hearts and clifted their voices on high. 2 Yea, the word of the Lord concerning his church, established in the last days for the restoration of his people, as he has spoken by the mouth of his bprophets, and for the gathering of his saints to stand upon Mount Zion, which shall be the city of New Jerusalem. A False Prophet may get a prophecy right once in awhile. “Verily thus saith the Lord: It is wisdom in my servant David W. Patten, that he settle up all his business as soon as he possibly can, and make a disposition of his merchandise, that he may perform a mission unto me next spring, in company with others, even twelve including himself, to testify of my name and bear glad tidings unto all the world. David W. Patten died in battle that fall, consequently he didn’t go on his mission as prophesied by the prophet Joseph Smith. He died from a bullet to the chest while chasing the enemy. He died in good standing with the Mormon church. Obviously, Joseph Smith gave a false prophesy. Since he didn’t hear from God this time, did he really hear from God the other times? All of the Holy Bibles prophesies are true and have been or will be fulfilled. 1891 marked the 56th year. Jesus hadn’t returned. Another false prophesy by Joseph Smith? Supported by cities, weapons, artifacts, coins, bodies, etc. Not supported by any cities, weapons, artifacts, no coins, bodies, etc. Thirty-eight huge cities located in America, so says the Book of Mormon, proof? –NO! The purpose of the writing on the sticks was to unite the kingdoms; it sticks had nothing to do with the Book of Mormon. Similar to Numbers 17:1-3, where names of the tribes were written on a stick, symbolically. In Ezekiel 37, the Book of Mormon is definitely not mentioned. Why? The Hebrew word for ‘stick’ never means book or scroll. The Book of Mormon was written on Gold plates. The entire Book of Mormon was not written on a stick. Is Lehi the son of Ephraim or Manasseh? “2 I am Amulek; I am the son of Giddonah, who was the son of Ishmael, who was a descendant of Aminadi; and it was that same Aminadi who interpreted the awriting which was upon the wall of the temple, which was written by the finger of God. The original Holy Bible has not been changed! God has preserved the Hebrew and Greek texts composing the Holy Bible without errors. It never needed to have corrections, because it is inspired of God. Why? Because the Book of Mormon is uninspired, not from God. The facts are that the Book of Mormon has had thousands of corrections. Do these facts prove the Book of Mormon is not inspired? YES! “But, behold, verily, verily, I say unto thee, ano one shall be appointed to receive commandments and revelations in this church excepting my servant Joseph Smith, Jun., for he receiveth them even as Moses. Plan to be another God by being a good Mormon. They can’t both be right. You must choose your authority. Which book is God’s Word? Too many contradictions for them both to be God’s Word! God is not concerned with original Scripture. Moses destroyed tablets written by God. God simply replaced them. God commanded Jeremiah to toss original Scripture in a river (Jeremiah 51:63). Do you believe that God can keep His "Word"? “Now, the decrees of God are aunalterable; therefore, the way is prepared that bwhosoever will may cwalk therein and be saved.” Alma 41:8 God’s Word whether Old Testament or New Testament cannot be altered. Meaning it is preserved some place! The terms ‘Passover’ and ‘Passovers’ are never mentioned in the Book of Mormon, why? These terms are used many times in the Old and New Covenant, but missing in the Book of Mormon. The Passover is the bases for Christianity! The Holy Bible is not equal with the Book of Mormon says the LDSChurch. Mormons are taught and believe the Book of Mormon is the Word of God whereas the Holy Bible is full of corruptions. Which would you read a book of corruptions or the uncorrupted Word of God? The Berean’s were more noble because they searched the existing Scriptures to see if the missionaries’ teaching was truth. They didn’t just accept new revelation they searched the Holy Bible to see if it was from God. Satan’s deception spoken in the Garden of Eden was that Adam and Eve could have become as God. Joseph Smith says all can become a God. So, Joseph Smith is in effect saying the lie of the serpent is really the truth! Where does this doctrine of devils come from? Some reports say he had only a third grade education. He died in a two way gun battle in Carthage, IL. He was on trial for the destruction of a printing press thathad printed facts he didn’t want printed. He died having just fired his gun into the hallway. His Jupiter talisman was in his pocket – it failed to protect him! Joseph Smith says, ‘I saw a pillar of light …’ So, the ‘angel of light’ reveals himself. Joseph Smith like Mohammed called on god and the god of this world – Satan responded as an angel of light. Since God has a name and His name is Jesus, one must pray to God not an abstract god. B. Did Joseph Smith Jr. have an occult background that would have caused him to be cursed? Having learned ‘treasure witching’ from his dad, Joseph Smith Jr. at an early age had contact with evil spirits. He eventually learned how to use a peep stone, etc. He eventually became a Mason and connected with the Kabbalah. These facts are documented by the Mormon’s websites. Joseph Smith Jr.’s antagonism toward the traditional church seems to have come from his dad, addendum c. Visions of Joseph Smith Sr.
C. Did Joseph Smith give proof that he did not see Father God or Jesus? Yes! “And without the ordinances thereof, and the authority of the priesthood, the power of godliness is bnot manifest unto men in the flesh; 22 For without this no man can see the face of God, even the Father, and live.” Doctrine and Covenants 84:21-22 Written by Joseph Smith who in his History 1:15-16 had not received the ‘authority of the priesthood’ which he gained later. Since Joseph Smith could not have seen God, who did he see? One must discern ones experiences based on the Holy Bible. All doctrines must agree with the Holy Bible. Of course the devil wishes to confuse everyone, like he perverted the Word of God with Adam and Eve. He tried to pervert the Word of God with Jesus. He did pervert the Word of God with Joseph Smith. Joseph Smith’s religious understanding started with the occult and the Masons. The day of Joseph Smith’s murder he had a Jupiter talisman on him. The Jupiter talisman is to bring fortune and the favor of people to the barer. It is a definitely an occultic item. Joseph Smith used his peep/seer stone to find the gold plates. Joseph Smith used his peep/seer stone to translate the gold plates. David Whitmer (one of three secretaries who wrote down what was seen in the hat) states that Joseph Smith used the peep stone to write the Book of Mormon. He says this is what happened: There were three secretaries, I was one. Joseph Smith would put his peep stone into a hat then place his face over the opening. He would see parchment appear then an unknown language. Under the unknown language would be written the English translation. Joseph Smith would read the English. Once a secretary had the English translation written, the parchment would disappear and a new parchment would appear with the unknown language and its translation. This method of translation continued until the Book of Mormon was translated. Christians who know their Holy Bible would wonder if a demon or the devil was showing Joseph Smith what to write. Joseph Smith had been a Mason before starting the Church of the Latter Day Saints. Being a Mormon and being a Mason go hand in hand in Nauvoo, IL. Mormons were instructed to join the local Masonic Lodge. The local lodge was one of the largest if not the largest in IL because of the Mormons! - Used his peep stone to translate the gold plates without looking at the plates, than why were the gold plates preserved over a 1,000 years if he was not going to need them. Did they ever really exist? This is the exact (though not complete) text of an article in "The Young Woman's Journal", an LDS magazine of the 1890s. The article is dated "Feb 6, 1892". I present it without comment, but you might safely predict my feelings, as an ex-mormon, towards this article, and its implications. "Nearly all the great discoveries of men in the last half century have, in one way or another, either directly or indirectly, contributed to prove Joseph Smith to be a Prophet. As far back as 1837, I know that he said the moon was inhabited by men and women the same as this earth, and that they lived to a greater age than we do - that they live generally to near the age of a 1000 years. From the verification of two promises we may reasonably expect the third to be fulfilled also." Can be found at the same website as the preceding. "The inspiration of God caused men to hunt for a new continent until Columbus discovered it. Men have lost millions of dollars and hundreds of lives to find a country beyond the north pole; and they will yet find that country - a warm, fruitful country, inhabited by the ten tribes of Israel, a country divided by a river, on one side of which lives the half tribe of Manasseh, which is more numerous than all the others. So said the Prophet. At the same time he described the shape of the earth at the poles as being a rounded elongation, and drew a diagram of it in this form: "
C. Joseph Smith taught that American Indians are decedents of the Hebrews. Every tribe of American Indians have had their DNA tested. They are of Asian descent not Hebrew. Is this than another of Joseph Smith’s deceptions? Obviously, Brigham Young’s statements were not of God. God does not contradict Himself. “And again, verily I say unto you, if a man marry a wife, and make a covenant with her for time and for all eternity, if that acovenant is not by me or by my word, which is my law, and is not sealed by the Holy Spirit of promise, through him whom I have anointed and appointed unto this power, then it is not valid neither of force when they are out of the world, because they are not joined by me, saith the Lord, neither by my word; when they are out of the world it cannot be received there, because the angels and the gods are appointed there, by whom they cannot pass; they cannot, therefore, inherit my glory; for my house is a house of order, saith the Lord God. 19 And again, verily I say unto you, if a man marry a wife by my word, which is my law, and by the new and everlasting covenant, and it is sealed unto them by the Holy Spirit of promise, and it shall be said unto them—Ye shall come forth in the first resurrection; and if by him who is anointed, unto whom I have appointed this power and the keys of this priesthood; it be after the first resurrection, in the next resurrection; and shall inherit thrones, kingdoms, principalities, and powers, dominions, all heights and depths—then shall it be written in the Lamb’s Book of Life, that he shall commit no murder whereby to shed innocent blood, and if ye abide in my covenant, and commit no murder whereby to shed innocent blood, it shall be done unto them in all things whatsoever my servant hath put upon them, in time, and through all eternity; and shall be of full force when they are out of the world; and they shall pass by the angels, and the gods, which are set there, to their exaltation and glory in all things, as hath been sealed upon their heads, which glory shall be a fulness and a continuation of the seeds forever and ever. According to these doctrines and covenants, Satan was telling the truth in the Garden of Eden. Men can become as God! Of course, this is all a lie! The devil has deceived those in Mormonism! If one believes these lies, they too will be gods in Hell! Why wait? Why not sign up for Hell today! Mormons believe man as a spirit was not created or made, but a spirit waiting to earn the right to be a God. The Mormon Church teaches that we are spirit babies from a Father and Mother God. The Mormon hymn ‘O My Father’ was written by Eliza R. Snow, a plural wife of both Joseph Smith and Brigham Young. This hymn is a prayer to Father and Mother in Heaven. So prayer can be offered to Mother God, the neo-Mormons don’t accept this old doctrine. He is the first born spirit baby of the Mormon God of this planet, Elohim. Mormons are very happy that their spirit brother Adam and their spirit sister Eve fell/sinned in the garden which was located in Missouri. “And the Lord said: Whom shall I send? And one answered like unto the Son of Man: Here am I, send me. And another answered and said: Here am I, send me. And the Lord said: I will send the first. Verse :28 is referring to Satan’s failurel to become an accepted spirit brother. Joseph Smith teaches that he and Jesus are the same in many ways. Obviously, Joseph Smith taught a different Jesus then the Holy Bible! Warren Jeffs is following Joseph Smith’s teachings. The neo-Mormons have left Joseph Smith’s teachings such as polygamy. Why have they left the so-called inspired writings of their so-called prophet Joseph Smith? Did their god make a mistake? Did their god deceive them? God will dwell with all of His people. There are not different levels of contact with God. Finding Biblical maps with real locations based on the Holy Bible readily available. Most Holy Bibles have Biblical maps as their last pages. Why doesn’t the Book of Mormon have maps as their last pages? Finding Book of Mormon maps that agree is impossible. No one knows where the mentioned cities are located. There is no historical or archeological proof for the mentioned cities in question. There is no proof that the events ever took place. Is the Book of Mormon another book of fiction? D. Elohim – the name of the Mormon god of this planet, earth. In the KJV the Hebrew word ‘elohim’ is translated ‘God’ 2366 times. So like with Satan’s brain child Islam which calls its god ‘Allah’ which is simply the Arabic word for ‘god’, the Mormons call their god ‘Elohim’. Their no name god is really who? Yes, Satan. How to resign from the Mormon Church: Why is this such an issue? I remember seeing Ed Decker’s ‘The God Makers’ in a Baptist church. I would not recommend anyone to see this video. What is the truth in this video? Difficult to find the truth in ‘The God Makers’. ‘Jesus Christ/Joseph Smith’ is very informative video. H. Church Handbook of Instructions This is a very controlled book only for bishops and higher! 1. How do you respond to the fact that the Book of Mormon by Joseph Smith and the View of the Hebrews by Ethan Smith were very close in content and order? The View of the Hebrews was published 1923. The Book of Mormon was published in 1930. View of the Hebrews was published less than 100 miles from Joseph Smith Sr.’s home. You can see where many questions should be asked? The fact that Joseph Smith didn’t have look at lying as sin has been shown. 2. If the Book of Mormon is inspired of God, why are there almost 4,000 changes – deletions and additions, since the original? Why is the same true for the Doctrine and Covenants? Why must these supposedly inspired books be changed? Is it because changes must be made to make the doctrines agree? The Holy Bible is inspired of the one and only true God whose name is Jesus. Man translated the Holy Bible from Hebrew and Greek to English. None of the translators claim to be inspired. Meaning of all the English translations available none of them claim to be inspired. Joseph Smith, Jr. claimed to be inspired as he translated the gold plates. If he was given the translation by using the peep stone and a hat, then he was not translating, he was simply a reader of words as a spirit medium. 3. Why does the Book of Mormon use King James Version English when in 1830 KJV English was archaic? Was the Book of Mormon written 1,200 to 2,000 years before the Book of Mormon? Then why are there almost direct quotes from the KJV Bible which of course was much more recent? Should one use feelings to determine truth? Why should the real God answer you? Secular pop music gives feelings. When I received the Baptism of the Holy Spirit with the evidence of speaking in tongues, I had a holy burning in my bosom provided by the Holy Spirit. The burning lasted for about three days. It was a great feeling of Jesus’ love and warmth. I wish it would have continued. Many get married based on feelings to discover their feelings were wrong! You may wish to ask the real God, whose name is Jesus to reveal truth to you. Protestants - pray the sinner’s prayer, and you go to heaven. Never does the Holy Bible give an example of praying a sinner’s pray for salvation! What is the Baptism of the Holy Spirit? The Baptism of the Holy Spirit is God entering into a person. Believers have the Holy Spirit and Jesus in them! You have just read where the Bible says a believer shall speak in tongues. Why don’t you speak in Tongues? Tongues is the evidence a believer is really a believer/Christian! Notice: This verse reads ‘baptism doth also now save us’. One must be water baptized in the name of Jesus for the washing away of sin, for His name is the name of the Father, Son, and the Holy Spirit. There is only one God. God’s name is Jesus! Joseph Smith used his peep stone to divine for hidden monies, the gold tablets, and the translation of the gold tablets. Like with Mohammed, Satan came to Joseph Smith offering a great deception. Since Joseph Smith and his followers teach a different gospel than the Holy Bible are they cursed? Will they all be in the eternal Lake of Fire? Was Joseph Smith a deceiver? Was Joseph Smith a liar? Have you followed Joseph Smith being deceived? Have you followed Joseph Smith being lied to? Many have left the LDS church to follow the Holy Bible! The choice is yours. If you would like my help, please call or email me. There are churches in Utah composed of ex-Mormons who have found and obeyed the truth. Why was Joseph Smith arrested for "money digging" and convicted of being a disorderly person? He admitted to being a money digger, though he said it was never very profitable for him (History of the Church, V. 3, p. 29). He and his father's money digging continued until at least 1826. On March 20th, 1826, Joseph was arrested, brought before a judge, and charged with being a "glass-looker" and a disorderly person. The laws at that time had what was known as the "Vagrant Act." It defined a disorderly person as one who pretended to have skill in the areas of palmistry, telling fortunes or discovering where lost goods might be found. According to court records Justice Neely determined that Joseph was guilty, though no penalty was administered, quite possibly because this was a first offense (Inventing Mormonism, Marquardt and Walters, pp. 74-75). Why did Joseph Smith have to use a seer stone both before and after being called as a prophet? Why did the Book of Mormon have to be translated while he looked into the seer stone placed in a black top hat? D. Michael Quinn writes: "During this period from 1827 to 1830, Joseph Smith abandoned the company of his former money-digging associates, but continued to use for religious purposes the brown seer stone he had previously employed in the treasure quest. His most intensive and productive use of the seer stone was in the translation of the Book of Mormon. But he also dictated several revelations to his associates through the stone" (Early Mormonism and the Magic World View P. 143). Richard S. Van Wagoner writes: "This stone, still retained by the First Presidency of the LDS Church, was the vehicle through which the golden plates were discovered and the medium through which their interpretation came" (Sidney Rigdon: A Portrait of Religious Excess, p. 57). Why would a prophet need to send members to seek for treasure seen in a vision? See D&C 111. Why wasn't any found when the revelation states they would? Did the Jaredites magic stones have anything to do with Joseph's acquaintance with magic stones? Why does the Book of Mormon discuss "slippery treasure" (and other similar fascinations with stones and riches) so much? It is interesting to note that in a 25 June 1992 seminar for new mission presidents, Elder Russell M. Nelson said, "The details of this miraculous method of translation are still not fully known. Yet we do have a few precious insights." (Ensign, July 1993, p. 62.) Then he quoted from David Whitmer's 1887 account in which Joseph Smith "would put the seer stone into a hat, and put his face in the hat...."
"I seemed to be travelling in an open, barren field, and as I was travelling, I turned my eyes towards the east, the west, the north, and the south, but could see nothing save dead fallen timber. Not a vestige of life, either animal or vegetable, could be seen; besides. to render the scene still more dreary, the most death-like silence prevailed, no sound of anything animate could be heard in all the field. I was alone in this gloomy desert, with the exception of an attendant spirit, who kept constantly by my side. Of him I inquired the meaning of what I saw, and why I was thus travelling in such a dismal place. He answered thus: 'This field is the world, which now lieth inanimate and dumb, in regard to the true religion, or plan of salvation; but travel on, and by the wayside you will find on a certain log a box, the contents of which, if you eat thereof, will make you wise, and give unto you wisdom and understanding.' I carefully observed what was told me by my guide, and proceeding a short distance, I came to the box. I immediately took it up, and placed it under my left arm; then with eagerness I raised the lid, and began to taste of its contents; upon which all manner of beasts, horned cattle, and roaring animals, rose up on every side in the most threatening manner possible, tearing the earth, tossing their horns, and bellowing most terrifically all around me, and they finally came so close upon me, that I was compelled to drop the box, and fly for my life. Yet, in the midst of all this I was perfectly happy, though I awoke trembling." From this forward, my husband seemed more confirmed than ever, in the opinion that there was no order or class of religionists that knew any more concerning the Kingdom of God, than those of the world, or such as made no profession of religion whatever. "I thought," said he, "I was travelling in an open, desolate field, which appeared to be very barren. As I was thus travelling, the thought suddenly came into my mind that I had better stop and reflect upon what I was doing, before I went any further. So I asked myself, 'What motive can I have in travelling here, and what place can this be?' My guide who was by my side, as before, said, 'This is the desolate world; but travel on.' The road was so broad and barren, that I wondered why I should travel in it; for, said I to myself, 'Broad is the road, and wide is the gate that leads to death, and many there be that walk therein; but narrow is the way, and straight is the gate that leads to everlasting life, and few there be that go in thereat.' Travelling a short distance further, I came to a narrow path. This path I entered, and, when I had travelled a little way in it, I beheld a beautiful stream of water, which ran from the east to the west. Of this stream I could see neither the source nor yet the termination; but as far as my eyes could extend I could see a rope, running along the bank of it, about as high as a man could reach, and beyond me, was a low, but very pleasant, valley, in which stood a tree, such as I, had never seen before. It was exceedingly handsome, insomuch that I looked upon it with wonder and admiration. Its beautiful branches spread themselves somewhat like an umbrella, and it bore a kind of fruit, in shape much like a chestnut bur, and as white as snow, or, if possible, whiter. I gazed upon the same with considerable interest, and as I was doing so, the burs or shells commenced opening and shedding their particles, or the fruit which they contained, which was of dazzling whiteness. I drew near, and began to eat of it, and I found it delicious beyond description. As I was eating, I said in my heart, 'I cannot eat this alone, I must bring my wife and children, that they may partake with me.' Accordingly, I went and brought my family, which consisted of a wife and seven children, and we all commenced eating, and praising God for this blessing. We were exceedingly happy, insomuch that our joy could not easily be expressed. While thus engaged, I beheld a spacious building standing opposite the valley which we were in, and it appeared to reach to the very heavens. It was full of doors and windows, and they were all filled with people, who were very finely dressed. When these people observed us in the low valley, under the tree, they pointed the finger of scorn at us, and treated us with all manner of disrespect and contempt. But their contumely we utterly disregarded. I presently turned to my guide, and inquired of him the meaning of the fruit that was so delicious. He told me it was the pure love of God, shed abroad in the hearts of all those who love him, and keep his commandments. He then commanded me to go and bring the rest of my children. I told him that we were all there. 'No,' he replied, 'look yonder, you have two more, and you must bring them also.' Upon raising my eyes, I saw two small children, standing some distance off. I immediately went to them, and brought therm to the tree; upon which they commenced eating with the rest, and we all rejoiced together. The more we eat, the more we seemed to desire, until we even got down upon our knees, and scooped it up, eating it by double handfulls. After feasting in this manner a short time, I asked my guide what was the meaning of the spacious building which I saw. He replied, 'It is Babylon, it is Babylon, and it must fall. The people in the doors and windows are the inhabitants thereof, who scorn and despise the Saints of God, because of their humility.' I soon awoke, clapping my hands together for joy." Why is the Latin word "Lucifer" used in 2 Nephi 24:12 when that word clearly wasn't used by Isaiah? Why does the Book of Mormon appear to paraphrase from the preface to the King James Version of the Bible in Helaman 5:31 and Alma 19:6? Why are portions of Isaiah quoted off of the plates of brass when these items weren't written until after Nephi supposedly got the plates out of Laban's treasury? Why is it that of the 350 names in the Book of Mormon, 100 are found in the Bible, others are place names found on early 19th century maps, and the rest are derivatives of Bible names? Why didn't Joseph Smith ever acknowledge using the KJV of the Bible to "translate"? Why were the following phrases used out of the New Testament supposedly before the New Testament was even thought of--much less written? Why is a Greek word like "Christ" used throughout the Book of Mormon? Why don't the Book of Mormon quotes from out of the Old Testament agree to earlier Latin, Syriac, Coptic, or Patristic texts? Matt 6:13 and 3 Nephi 13:13 "lead us not into temptation, but deliver us from evil" should have said, "and do not bring us to the time of trial, but rescue us from the evil one". Why does the phrase "the lamb of God" appear only in the New Testament portion of the Bible yet it appears in the Book of Mormon over 30 times--28 times in 1 Nephi alone? Why do the words of Malachi 4:1 appear in 1 Nephi 22:15 over a hundred years before Malachi wrote them? Why do so many stories seem like exaggerated borrowings from the Bible? Temple of Solomon supposedly took 180,000 people seven and a half years to build (1 Kings 5, 6) / The few in number Nephites supposedly did it in less than 20 years after arriving (2 Nephi 5). Calming Storm (1 Nephi 18:8-21) vs. (Matthew 8:23-27). Men in Fire (Helaman 5:22-24) vs. (Daniel 3). Feeding Multitude (3 Nephi 20:3-7) out of nothing / In Bible, Christ multiplied existing food (Matthew 14). Christ heals masses in Book of Mormon (3 Nephi 17:9) / in Bible Jesus healed as he encountered (Luke 9:42). Multitude feels wounds in Book of Mormon (3 Nephi 11:13) / In Bible, Thomas felt wounds (John 20:27). Book of Mormon prophecies of Christ specific / Bible prophecies veiled (actually non-existent unless scripture misquoted or "prophecies" stretched to have two meanings). Book of Mormon Christ is completely accepted / In Bible he is rejected. Aminadi deciphered writing on the wall (Alma 10:2-3) like Daniel (Daniel 5). Daughter of Jared danced before the king (Ether 8) like the daughter of Herodias (Matthew 14) (decapitation followed in both cases). Daughters of Lamanites abducted like the daughters of Shiloh. Jews of Old Testament were monotheists / Pre-Christ Jews of Book of Mormon were not. Why did the angel take Nephi Plates back to heaven? Do they not belong with man? Would not their existence prove once for all that Mormonism is truth? God allowed the Jews to carry the 10 commandments for several centuries in their original physical form, written by the finger of God Himself! "Will you, as a Mormon, please read the Bible cover to cover and ask God to reveal to you that it contains all of God's message to man and that parts are not lost or altered and that the Book of Mormon is false?" If the original 1830 Book of Mormon was inspired than why were there so many errors and changes and additions and deletions, when compared to current editions? How can we be assured that the translation of the B of M into French or any other language is correct? Only the English translation is claimed to be inspired! How do you account for the stunning parallels in both content and order between the B of M and the View of the Hebrews, by Ethan Smith? Published in 1823 (7 years before the B of M) less than 100 miles from the Joseph Smith's parents home. Mormon Article of Faith #8: "We Believe the Bible to be the word of God as far as it is translated correctly; we also believe the Book of Mormon to be the word of God." Why do you only add the phrase, "as far as it is translated correctly" to describe the Bible and not after the book of Mormon when in fact there are far more translating errors in the Book of Mormon than the Bible? How do you explain the fact that 2 Nephi 16:2 is copied from an older version of the KJV of the Bible in Isa 6:2? This is proven because this older KJV (the mistake is corrected in current versions) made a rare gramatical error by using the incorrect plural form of "seraphims" rather than "seraphim". Why are Greek names such as Lachoneus, Timothy, Jonas, and Alpha & Omega in a book that should have absolutely no Greek influence? Why aren't there other examples of "Reformed Egyptian" in Ancient America? Why doesn't a linguistical relationship exist between any native American language and ancient Egyptian or Hebrew? How did the Book of Mormon language evolve so rapidly into non-related Indian languages? Indo-European is much older than the Book of Mormon time period, yet vestiges of Indo-European exist through all of Europe and parts of Asia. Why are only four main types of Mesoamerican writing systems known (and none in pre-Columbus North America): (Aztec, Mixtec, Zapotec, and Maya)? If the Book of Mormon took place outside of Mesoamerica (like in New York where the Hill Cumorah supposedly is), why are written languages of ancient America only found in Mesoamerica? Why haven't any of the Book of Mormon proper names such as Nephi, Laman, Zarahemla, etc. been found in all of the many writings that have been found in Mesoamerica? Why isn't the Elohim (God) being the father of Jehovah (Jesus) and being once a mortal man discussed? (In fact, God and Jesus appear to be one in the same being in the Book of Mormon--especially in the first edition). What about God having a body of flesh and bones, God being married, men becoming Gods, temple participation necessary for exaltation, baptism for the dead, Aaronic and Melchizedek Priesthood, word of wisdom, and 3 degrees of glory? Why is polygamy condemned in the Book of Mormon, but condoned in the D&C and still believed to be necessary in church doctrine for exaltation in the after-life? Where are such doctrines as a man having to marry in order to be exalted, member having to wear sacred undergarments, official doctrine being voted upon by the general membership, God being the offspring of another God, etc.? Why was Joseph Smith arrested for "money digging" and convicted of being a disorderly person? He admitted to being a money digger, though he said it was never very profitable for him (History of the Church, V. 3, p. 29). He and his father's money digging continued until at least 1826. On March 20th, 1826, Joseph was arrested, brought before a judge, and charged with being a "glass-looker" and a disorderly person. The laws at that time had what was known as the "Vagrant Act." It defined a disorderly person as one who pretended to have skill in the areas of palmistry, telling fortunes or discovering where lost goods might be found. According to court records Justice Neely determined that Joseph was guilty, though no penalty was administered, quite possibly because this was a first offense (Inventing Mormonism, Marquardt and Walters, SLC: Signature Books, 1994, pp.74-75). Why did the Book of Mormon have to be translated while he looked into the seer stone placed in a black top hat? D. Michael Quinn writes: "During this period from 1827 to 1830, Joseph Smith abandoned the company of his former money-digging associates, but continued to use for religious purposes the brown seer stone he had previously employed in the treasure quest. His most intensive and productive use of the seer stone was in the translation of the Book of Mormon. But he also dictated several revelations to his associates through the stone" (Early Mormonism and the Magic World View, D. Michael Quinn, Signature Books, SLC, 1987, p. 143). Richard S. Van Wagoner writes: "This stone, still retained by the First Presidency of the LDS Church, was the vehicle through which the golden plates were discovered and the medium through which their interpretation came" (Sidney Rigdon: A Portrait of Religious Excess, Signature Books, SLC, 1994, p.57). Why does the Book of Mormon discuss "slippery treasure" so much? Why do the accounts differ with respect to who was in the vision? See "The New Mormon History : Revisionist Essays on the Past " for more on this. Why don't the early "prophets" even know the story accurately? "The Lord did not come with the armies of heaven...But he did send His angel to this same obscure person, Joseph Smith jun...and informed him that he should not join any of the religious sects of the day, for they were all wrong" (B. Young - JOD Volume 2 p.171 1855). "How did it (the organization) come? By the ministering of an holy angel from God, out of heaven, who held converse with man, and revealed unto him the darkness that enveloped the world...He told him the Gospel was not among men, and that there was not a true organization of His kingdom in the world." (Wilford Woodruff - JOD Volume 11 p.196 1855). "How did the state of things called Mormonism originate? We read that an angel came down and revealed himself to Joseph Smith and manifested unto him in a vision the true position of the world in a religious point of view. He was surrounded with light and glory while the heavenly messenger communicated these things to him." (John Taylor - JOD Volume 10 p.127 1863). "When the holy angel appeared, Joseph inquired which of all these denominations was right and which he should join, and was told they were all wrong." (George A. Smith - JOD Volume 12 p.334 1863). Why doesn't any published source mention the "official" first vision account until 1842--22 years after the "official" event supposedly happened? Why doesn't the 1st vision play an important role in Mormon history until the 1860s? No one seems to mention it before then even though it is now deemed by Mormons to be the most important event in almost 2,000 years. Why isn't there evidence to support the revival described by Joseph Smith in early 1820--yet there is evidence to support revivals several years later? Joseph Smith's neighborhood experienced no revival in 1820 such as he described, in which great multitudes joined the Methodist, Baptist, and Presbyterian churches. According to early sources, including church conference reports, newspapers, church periodicals, presbytery records and published interviews, nothing occurred in 1820-21 that fits Joseph's description. There were no significant gains in church membership in the Palmyra-Manchester, New York area, during 1820-21 such as accompany great revivals. For example, in 1820, the Baptist Church in Palmyra only received 8 people through profession of faith and baptism, the Presbyterian church added 14 members, while the Methodist circuit lost 6 members, dropping from 677 in 1819 to 671 in 1820 and down to 622 in 1821 (see Geneva area Presbyterian Church Records, Presbyterian Historical Society, Philadelphia, PA; Records for the First Baptist Church in Palmyra, American Baptist Historical Society, Rochester, NY; Minutes of the [Methodist] annual Conference, Ontario Circuit, 1818-1821, pp. 312, 330, 346, 366). Why does Lucy Smith (his mother) indicate that the revival occurred around 1824? Her son, Alvin died on November 19, 1823, and following that painful loss Lucy Smith reports that, "about this time there was a great revival in religion and the whole neighborhood was very much aroused to the subject and we among the rest, flocked to the meeting house to see if there was a word of comfort for us that might relieve our over-charged feelings" (First draft of Lucy Smith's History, p. 55, LDS Church Archives). Church records from that time period show outstanding increases in membership due to the reception of new converts. The Baptist Church received 94, the Presbyterian 99, while the Methodist work grew by 208. "You will recollect that I mentioned the time of a religious excitement, in Palmyra and vicinity to have been in the 15th year of our Brother J. Smith Jr's, age that was an error in the type- it should have been the 17th...This would bring the date down to the year 1823." (Oliver Cowdrey - Times & Seasons Vol. 2, p. 241 1840). For further details see, Dialogue: A Journal of Mormon Thought, Spring 1969, pp. 59-100. Why does his first autobiography not even mention the "first vision"? Why does Joseph Smith have Lehi make such a statement as 1 Nephi 8:2? Is he equating a dream to an actual, physical vision or visitation from God? Polyandrous marriages were acceptable with Joseph Smith’s theology!